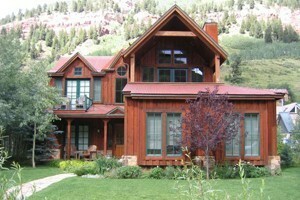 Accommodations In Telluride - Free Nights! Whether on a budget or looking for the ultimate in luxury, we are the source for Telluride Lodging & Vacation rental needs! Click for the best lodging deals & specials! Amidst Meadows Ski Run, Mountain Village's Condominiums with dining, shopping, gondola transportation, skiing and golf offer ideal family vacation rentals. Luxury Resort style ski accommodations, hotel has valet parking, ski valet, fireplace, pool, adult spa, fitness center and lounge. Luxury Boutique Hotel and Condo's offering comfort and service just one short block from the lifts. Enjoy rooms, suites and 2 or 3 bedrooms condos. Full service Vacation Rental and Property Management company, located near ski hills, offers luxury vacation homes, condos and penthouses. One of the largest lodges in Telluride. Features two hot tubs, BBQ stations and grocery store. Near ski lift 7. 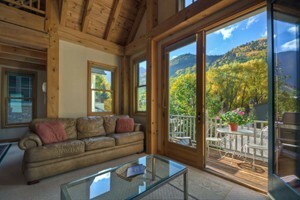 Let us find you the perfect vacation or long term condo and home rentals in the Telluride area for your next vacation. Telluride Rentals is a luxury rental company offering excellent service and attention to detail - handpicked properties and thoughtful amenities and concierge services. 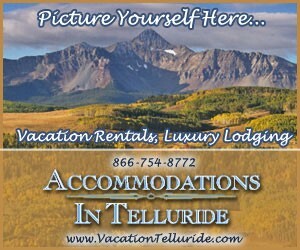 Your ONE STOP SHOP for planning and booking your Telluride vacation. The Peaks Resort & Spa, located ski-in/ski-out in Mountain Village offers luxury hotel and residential vacation accommodations. Enjoy the 4 bedroom/4 bath Telluride condo. Enjoy a mix of antique and modern furnishings. Each room offers breathtaking views and private baths. Up To 2 Free Nights!